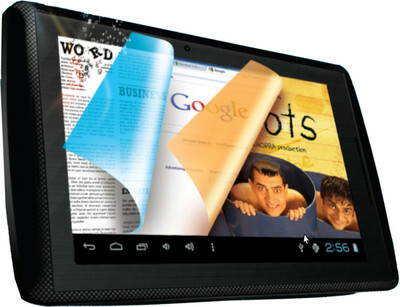 Lava will soon launch its first Android 4.0 ICS Tablet tablet in India. The Lava E-Tab Z7H comes with 7-inch display, 1.2 GHz Processor, 512 MB of RAM, 0.3 MP Primary Camera and it runs on Android 4.0 Ice Cream Sandwich. The Lava E-Tab 27H tablet will be Wi-Fi Enabled but you can use USB Dongle to access 3G Connectivity. The tablet comes with 4 GB of Internal Storage and 512 MB of RAM. 2800 mAh Battery will power the tablet. There is no official words from Lava Mobiles but the tablet appears on Online Retailer Flipkart.